The new α68 (ILCA-68) camera from Sony lets enthusiastic photographers discover even more creative opportunities with their precious collection of A-mount lenses. 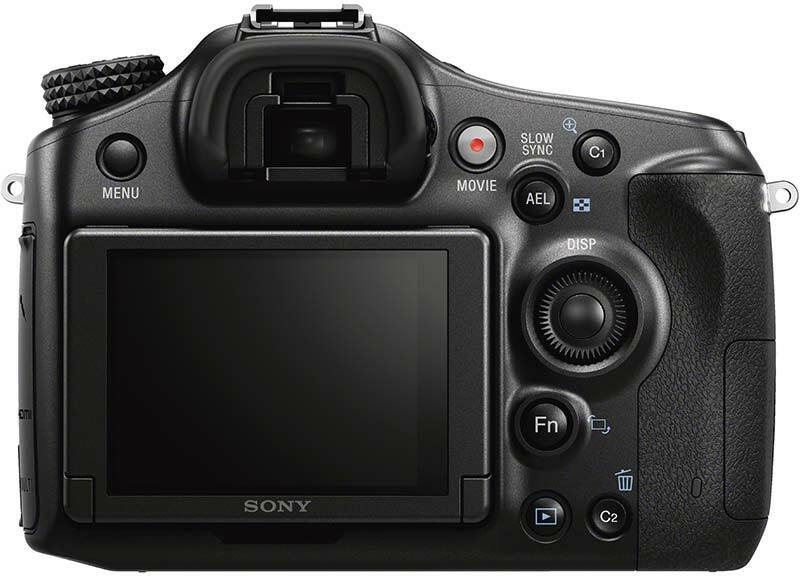 Inheriting many pro-style features from the acclaimed α77 II, the α68 features Sony’s unique 4D FOCUS system that delivers extraordinary AF performance under any shooting conditions – even in lighting as low as EV-2 where other cameras struggle. This phase detection system uses no less than 79 autofocus detection points including 15 cross points, plus a dedicated F2.8 AF sensor point for dimly-lit scenes. It all adds up to fast, wide area AF with predictive tracking that locks faithfully onto fast-moving subjects.And thanks to Sony’s uniqueTranslucent Mirror Technology, the α68 delivers constant AF tracking at up to 8fpsii continuous shooting. Whether you’re shooting stills or movies, peerless image quality is assured by the 24MPiii APS-C Exmor CMOS image sensor with wide ISO 100-25600iv sensitivity range. 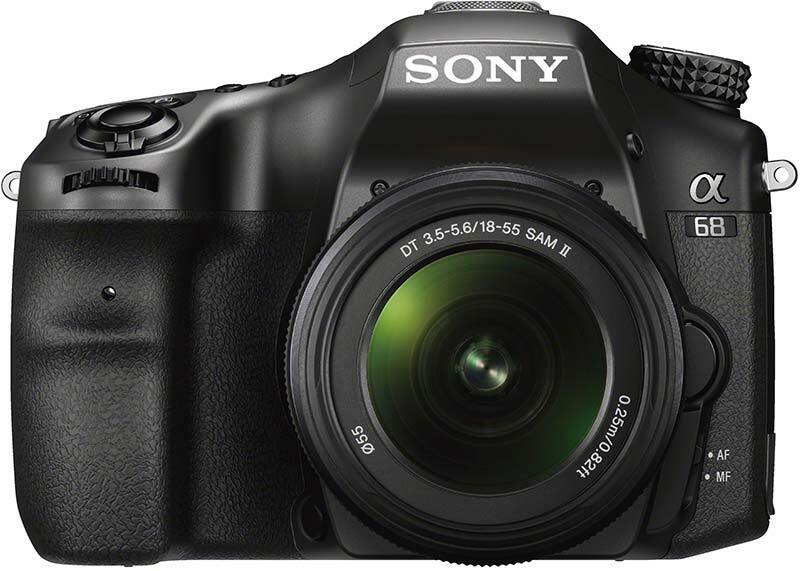 It’s teamed with Sony’s speedy BIONZ X image processor that uses Detail Reproduction and Diffraction-reducing Technologies plus Area-specific Noise Reduction for pristine, finely detailed shots every time. Full HD movies use the efficient XAVC Sv format for high bit rate recordings at up to 50 Mbps with outstanding detail and low noise. And thanks to Sony’s unique Translucent Mirror Technology, you can enjoy non-stop continuous autofocus that effortlessly tracks moving subjects for crisp, professional looking footage, whichever format you choose to record in. With a powerful array of creative features to explore, theα68 has plenty to offer experienced amateurs as well as step-up photographers and newcomers to interchangeable lens cameras. Framing stills and movies is a pleasure through the clear, bright OLED Tru-Finder. 100% frame coverage ensures you see exactly what you’re shooting, with high contrast and faithful colour reproduction helping you focus manually with absolute confidence. Complementing the Tru-Finder, the 2.7-type LCD monitor tilts up to 135 degrees upwards or 55 degrees downwards for comfortable composition from a wide variety of shooting angles. Serious photo enthusiasts will also value the backlit top display that allows quick confirmation of camera settings, whether you’re shooting handheld or on a tripod. As found on the critically praised α7 series, there’s a control wheel on the camera’s rear that allows quick fingertip adjustment of camera settings. In addition, 10 customisable buttons[vi] can be assigned for instant access to frequently-used functions. There is a front control dial for quick adjustments of settings and a sturdy grip to ensure that you are balanced, even when using heavyweight prime or telephoto lenses. SteadyShot INSIDE reduces the effects of camera shake for blur-free handheld shooting – at all focal lengths and with any compatible lens. The inclusion of a Multi Interface Shoe and Multi Terminal lets you expand creative options further with a wide range of optional accessories, including flashes, lights, microphones and remote commanders.